As you move around the section, you can see our youngsters enthusiastically involved in learning through activities, games, research, plays and age-appropriate interactive learning as well as voluntarily participating in community service and environmental awareness activities, with the values of Respect, Responsibility and Relationship at the heart of all our learners’ endeavors. As the world is rapidly changing, an ongoing commitment at LWIS-CiS is to continuously look for and utilize updated resources and methodologies that meet the needs of the 21st century and enable our young learners to master new ways of thinking! Since memorizing facts and information is no more the most important skill in today's world, we guide our learners into becoming inquirers by helping them develop age-appropriate inquiry and research skills. As educators, we believe that children learn at different paces and with different learning styles, and this is why our teachers implement differentiated instruction in their classrooms with the help of technology. It is a well-known fact that learning becomes almost effortless when something fascinates learners and reflects their interests and goals. 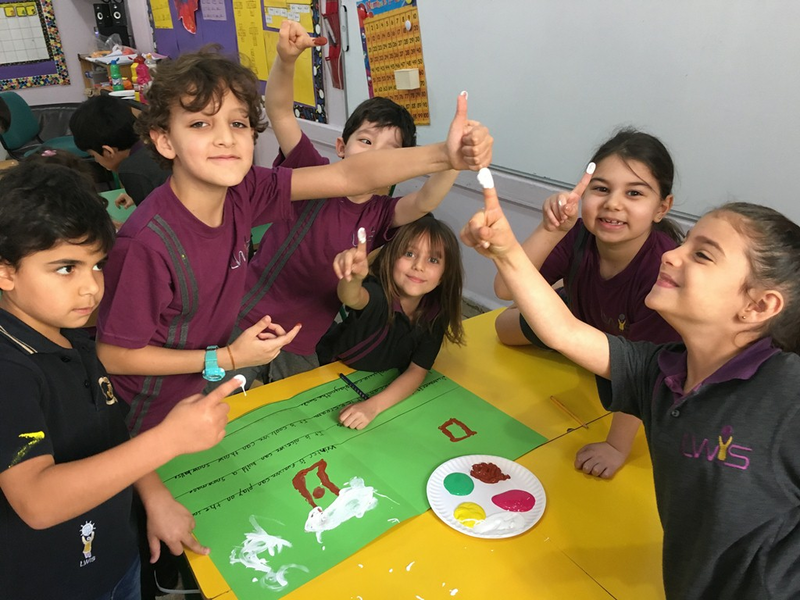 Hence, we have started the Gifted and Talented Program where eleven different activities that target our learners’ interests take place every Friday during the last two periods. Teachers strive to inspire learners to become global citizen leaders in the future by involving them in campaigns, tournaments, assemblies, etc… Also, learners seek to collaborate and work cooperatively with their teachers and peers in a joyful learning environment. Hence, teachers, parents and learners work in a friendly atmosphere. It is at the heart of LWIS-CiS’s mission to promote critical thinking in our young learners and help them become problem solvers, responsible, ethical and good communicators. And because parents are partners in learning, they are invited to contact the head of section for any queries or suggestions that may promote life-long learning.